I’m really trying hard to encourage my 11 year old Ollie to read some different books at the moment. If he’s not reading something by Spencer FC or watching Dan TDM or other people playing Fortnite videos he’s playing Fifa! So when I was told of a book called The Hairy Hand by Robin Bennett and asked if we’d like to be on the blog tour, I agreed straight away. This was a story which really held Ollie’s interest and that’s quite rare these days! It’s a story where there is lots going on, from Sept who is a bit of a loner and the odd one out, who travels to get his inheritance from a relative who has died – a Hairy Hand! But this was not just any ordinary Uncle, so the hairy hand is full of magical powers and Sept puts those powers to good use and changes lives. With some really funny parts, it’s a proper action-packed past-paced adventure from start to finish with some great characters, and I’m sure lots of children in the age range will thoroughly enjoy this book and so will their parents. I think that there’s something quite therapeutic about reading a kids book when you are an adult. It’s almost wrong but so right at the same time. So at this point, I will say that I thoroughly enjoyed it too. I used to do a reading group at my son’s school and this is the sort of book that I would have loved to get them involved in and I know they would have been gripped by. 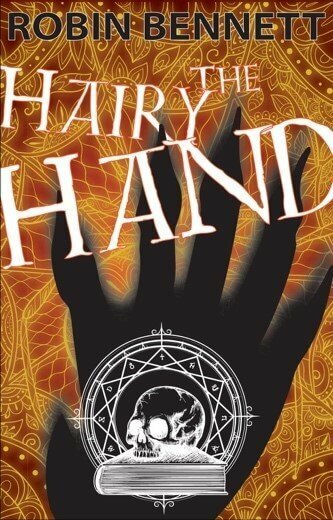 Really well written with great illustrations too, the Hairy Hand is highly recommended.